Fans of C.S. Lewis' book series The Chronicles of Narnia have something to be excited about! Netflix revealed Wednesday they have films and shows based on the series in development. Working with The C.S. Lewis Company in a multi-year deal, Netflix will adapt the classic tales of the Narnia universe into both a multi-episode show and movies. All of the projects will be produced by Netflix along with Mark Gordon of Entertainment One (eOne). Michael DiMartino and Bryan Konietzko, who created the fantasy series, will serve as executive producers and showrunners. C.S. Lewis' stepson Douglas Gresham and Vincent Sieber will serve as executive producers for the series and producers for the films. Beloved by many, The Chronicles of Narnia were written by C.S. Lewis between 1950 and 1956, capturing an audience over the years with its fantastical world. The Narnia books have sold over 100 million copies worldwide and have been translated into more than 47 languages. Netflix's deal stands as a first, as they're the only company to own rights to all seven books at the same time. "C.S. Lewis’ beloved Chronicles of Narnia stories have resonated with generations of readers around the world," said Netflix's Chief Content Officer Ted Sarandos. "Families have fallen in love with characters like Aslan and the entire world of Narnia, and we’re thrilled to be their home for years to come." 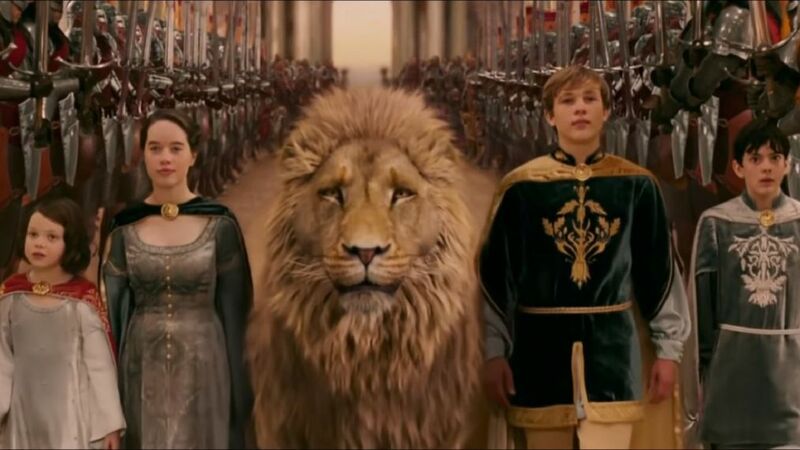 Over the years, the series has seen a number of adaptations, but Disney's The Chronicles of Narnia: The Lion, the Witch, and the Wardrobe (2005), The Chronicles of Narnia: Prince Caspian (2008), and The Chronicles of Narnia: The Voyage of the Dawn Treader (2010) are the most recent. The trailer below, featuring the 2005 film, offers a glimpse into the world of Lewis. "It is wonderful to know that folks from all over are looking forward to seeing more of Narnia, and that the advances in production and distribution technology have made it possible for us to make Narnian adventures come to life all over the world," said Gresham. "Netflix seems to be the very best medium with which to achieve this aim, and I am looking forward to working with them towards this goal." No further details. such as release dates, were given at this time. Stay tuned!